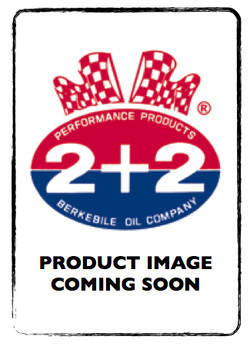 BERKEBILE 2+2® PRESSURIZED INJECTOR CLEANER... keeps well-maintained engines working better and lasting longer. It reduces harmful emissions and can increase fuel economy which puts more $$$ in you pocket and less in fuel and costly repairs. STOPS SQUEALS CASUED BY THE CALIPER PISTON! FAST DRYING & LONG LASTING! PROVIDES A HIGH TEMPERATURE, WATER-RESISTANT COATING! 1. Make sure your fuel injector kit or apparatus is designed to attach with threads to BERKEBILE 2+2® PRESSURIZED INJECTOR CLEANER. do not puncture the top of the can. 2. Use protective eye wear when connecting BERKEBILE 2+2® PRESSURIZED INJECTOR CLEANER. Promptly clean up any spills caused by leaking connections. Always inspect hose adapters for splits, cracks, or signs of heat or age damage, and replace with new hoses as needed. 3. Make sure area around vehicle has adequate ventilation. Do not smoke, weld, or do electrical work near the vehicle while injectors are being cleaned. 4. Always follow the directions supplied with your fuel injector kit or hose apparatus. *Always use in a well-ventilated area.